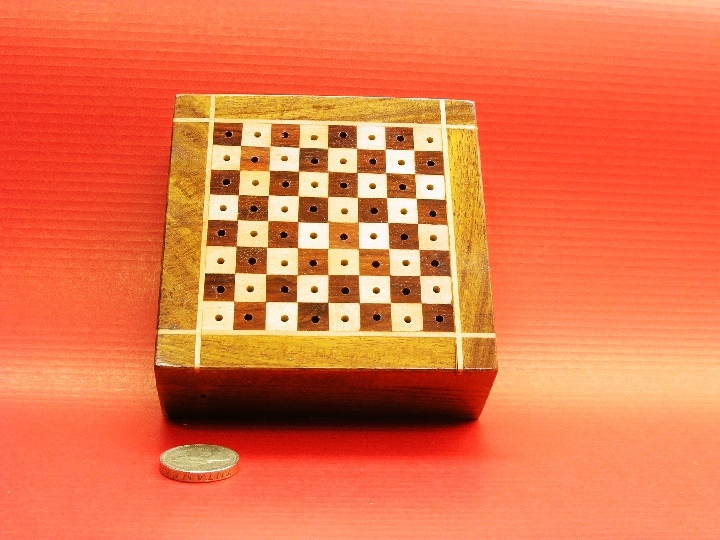 This product from Chess Baron: This item is a pegged travel chess set which is very small for portable ease and is meticulously made with adherance to high standards of workmanship. 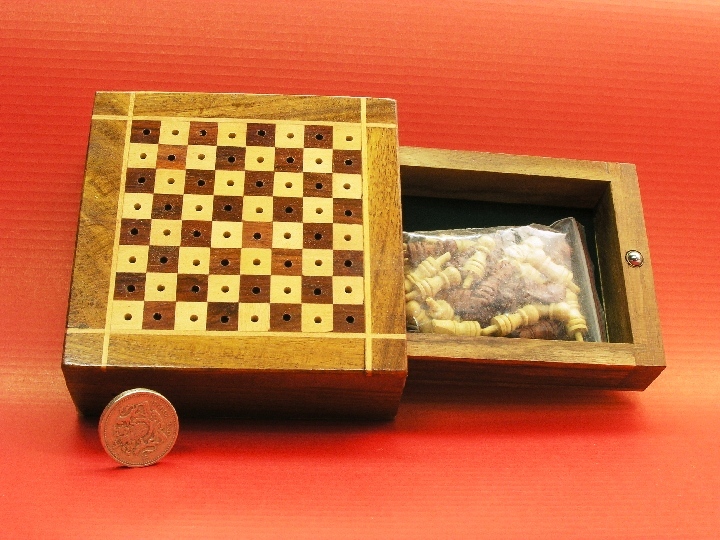 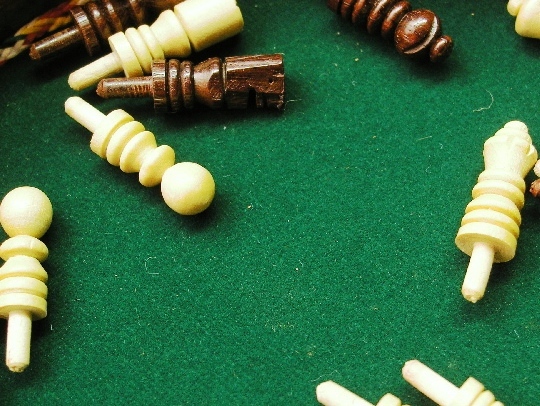 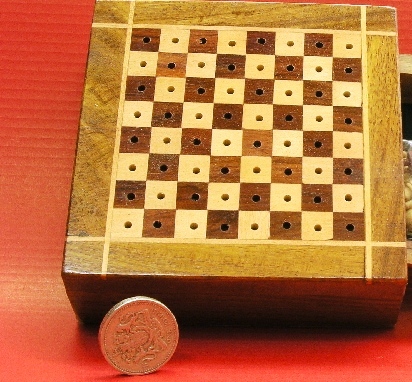 Travel chess sets are very useful for playing on the move and this example of a travel chess set is fine. 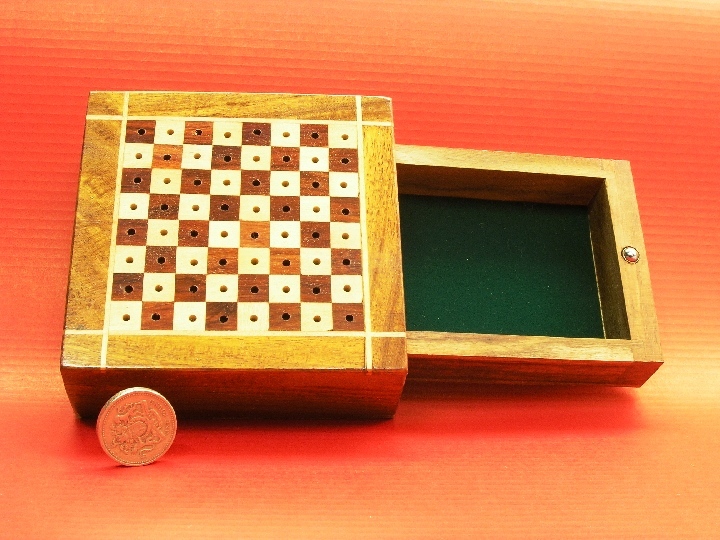 It has an internal drawer and measures just 5 inches by 5 inches.